Professionally machine quilted quilts are beautiful. 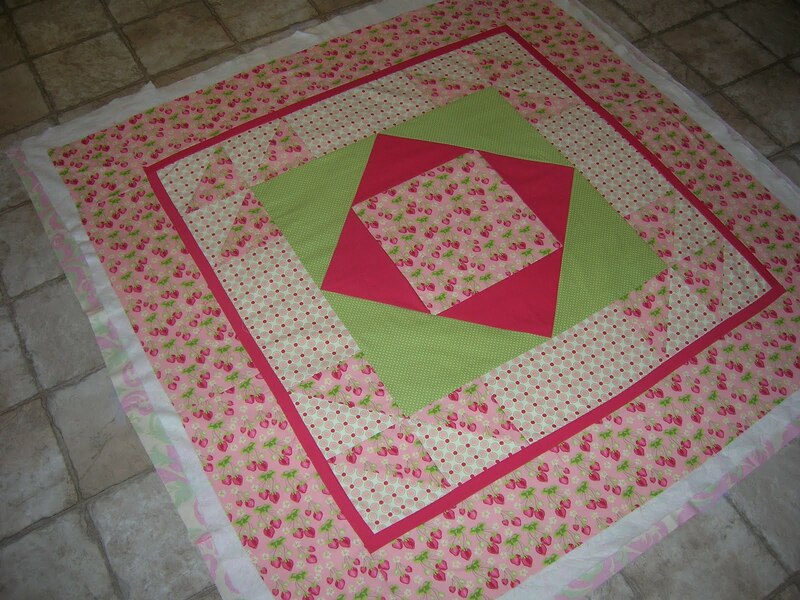 There are definitely quilts out there that deserve a costly professional quilting job. They turn out perfect, and it is so convenient to send them to a quilter and get them back all nicely trimmed and quilted. That being said, it has been quite a while since I sent any of my quilts out to be quilted. I've been practicing quilting them myself, and it's been really fun! I started for 2 reasons. First, money. If I wanted to continue my hobby, I needed to find a less expensive way, but I knew I couldn't give up designer fabrics! Second, it has always bothered me to have someone else's work on my project, someone else's name on my quilt. I wanted to do it all, so it could be completely mine. 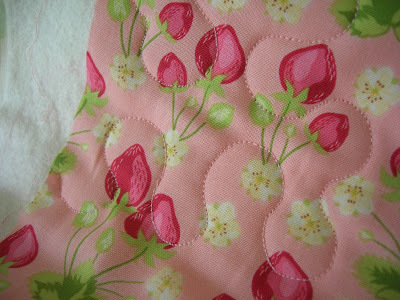 I am more attached to the quilts I have quilted myself. And as it turns out, I really enjoy doing it, it is actually fun and a little addicting. 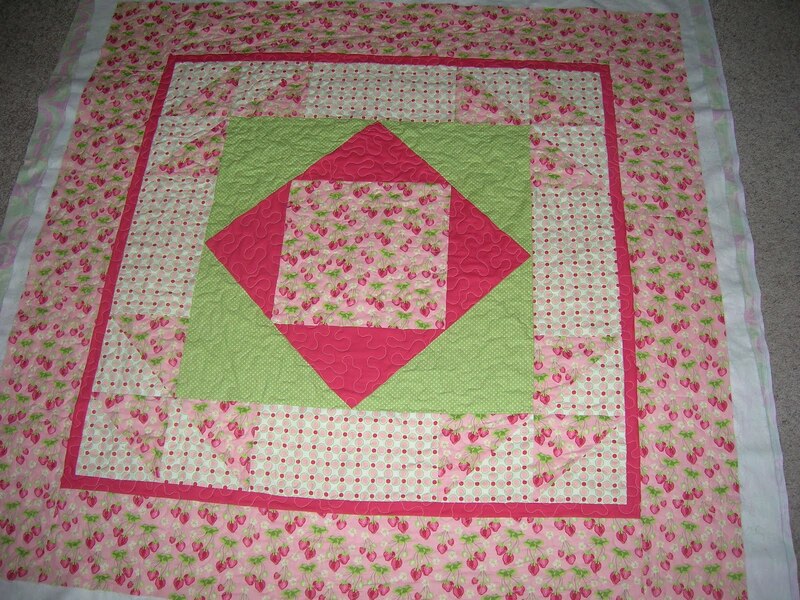 Are my quilts perfect? No. Does that bother me? Not really. I am NOT a perfectionist (thank goodness, I don't know how those kinds of people get through the day), and I enjoy the process most of all. I am creative, I take risks, I try new things. If it doesn't work out, well maybe I can cut it down and turn it into a bag or something. Start with some scraps of fabric or small projects you don't care too much about and practice. Before I begin I usually doodle a bit on a peice of paper, just to get an idea of how I should move the quilt. With a long arm machine you are moving the machine, with this method you are moving the whole quilt. It is easier to quilt a smaller quilt. For a quilt much larger than a lap size, you might just want to think about paying that quilter after all. But it's not impossible either, it just takes practice. Lay your three layers out on a flat surface. I use my kitchen floor. If I have tape in the house (with 3 kids I usually don't) I use it to tape down the back of the quilt all nice and straight. I love this stuff! It works wonderfully and it washes away completely (or wears aways in a couple days on it's own). I've never noticed any guming up of my needles or added stiffness to my quilt or anything like that. It holds all the layers perfectly straight so I never worry about them shifting. 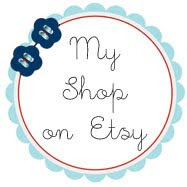 I buy it at JoAnns when I have a coupon. I can do about 3-4 quilts with one can. 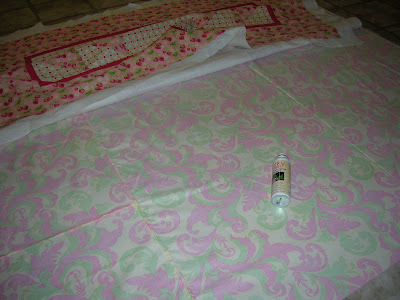 Fold up the top two layers and spray the wrong side of your quilt back. I spray like I would baste with stitches, long lines, back and forth. Lay your batting down on top of that and smooth it out, make sure there are no bumps or wrinkles. The glue is repositional, so you can lift it up and try again if you need to. Next, spray your batting and lay your quilt top down nice and straight. When I'm all done with the top, I turn it over and double check the back to make sure it is still all smooth and tight. You will need to either lower your feeders or cover them. The feeders are the little teeth like things that come up and catch your fabric and move it along. 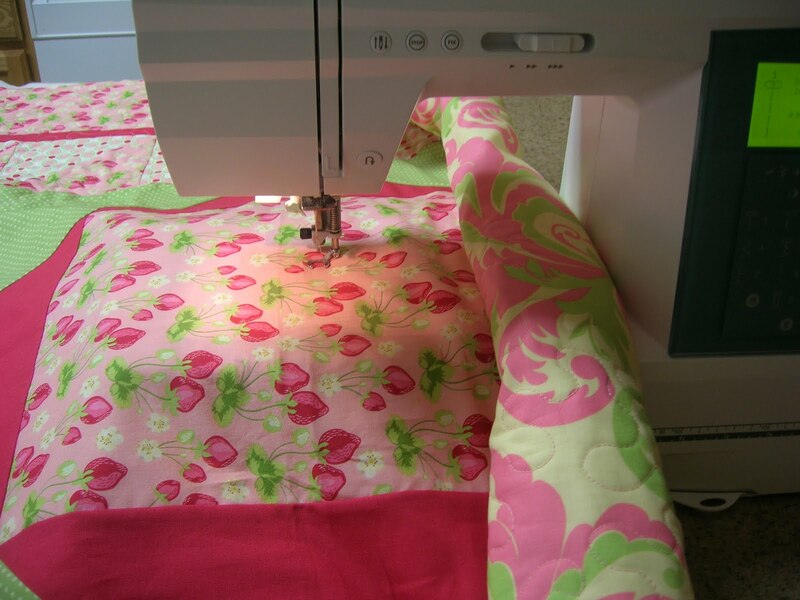 You want to be able to move your quilt yourself, freely, in all directions. 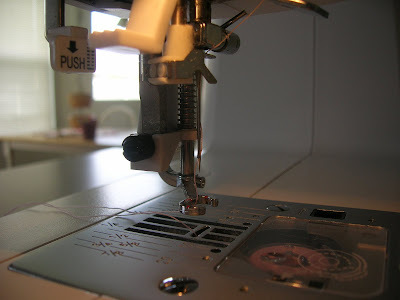 Before I got my nice new sewing machine I would cover my feeder with a little plastic plate that came with the machine. Or you can make your own with a piece of cardstock and tape. I've done this too, when I lost the little plate for awhile. You will also need a stippling, free motion, or darning foot. All slightly diffrent, but all will do basically the same job. Above is what mine looks like, I bought it special when I got my machine. It is specifically designed for quilts. If you are able to set your machine in a needle down possition that really helps when you have to stop and move your quilt to a better possition. I either start in the center and work my way out or start on the side and work my way in. 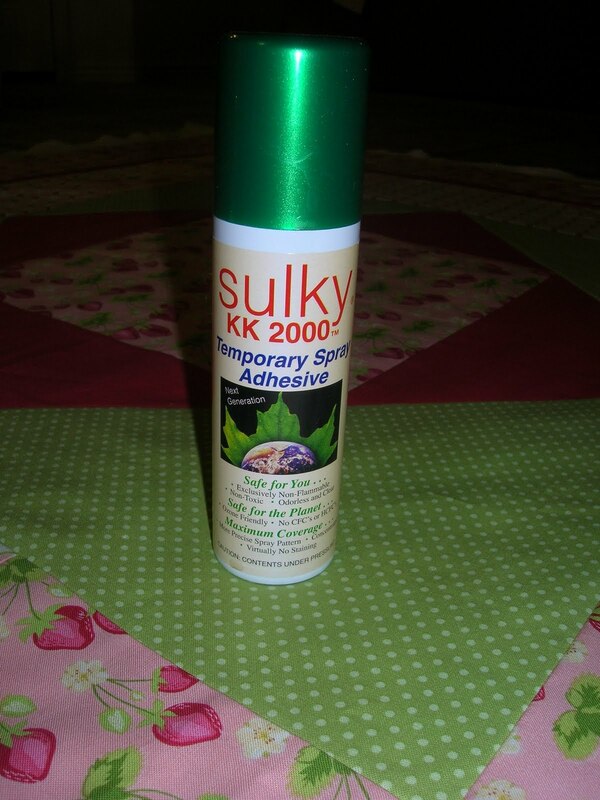 With the spray glue it doesn't really matter, your layers aren't going anywhere. But I do work in a spiral, that way I don't miss any spots. Start with your needle down, grab your quilt on each side of your needle and press down on the pedal. Start moving your quilt in a random all over pattern. 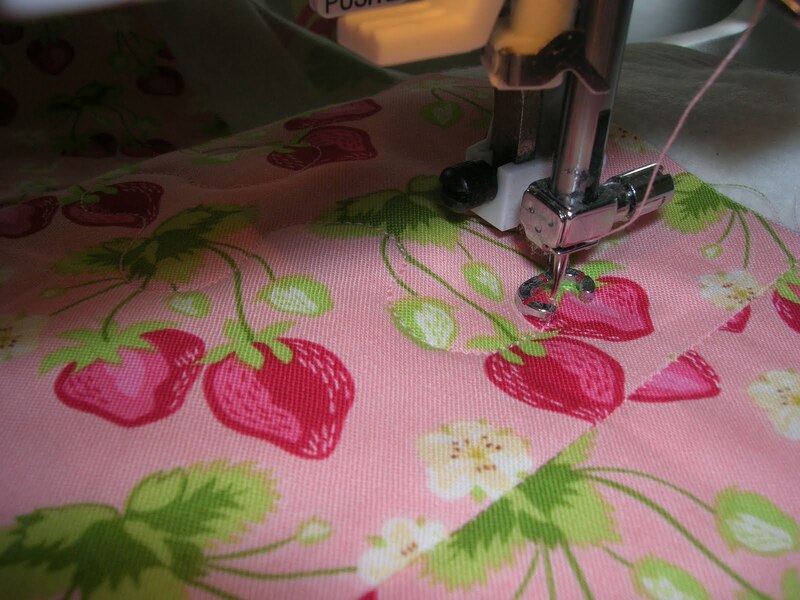 You'll need to stop fequently and reposition your hold on the quilt, but if your set your needle in the down position first, you should be fine. 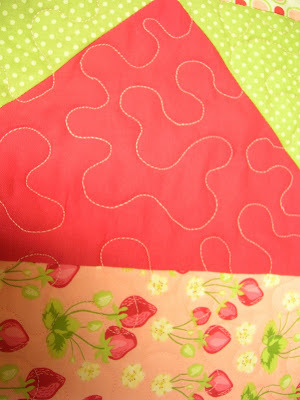 It is easier to quilt faster than slower, faster you'll get a smoother line. I set my speed almost as high as it will go, but move my quilt around slower than the feeders would pull it through, if I were using them. Below is a close up of my stitches. You can see I started off the side of the quilt and came in. You might be more comfortable starting in the middle. That's fine, do what works best for you. I find it eaiser to pull the quilt towards me when I move it around, instead of pushing it away from me. You'll need to roll up the side of the quilt to get in to fit under the arm. That is why it is difficult to quilt a large quilt, moving it around and trying to fit it under that arm can be difficult. 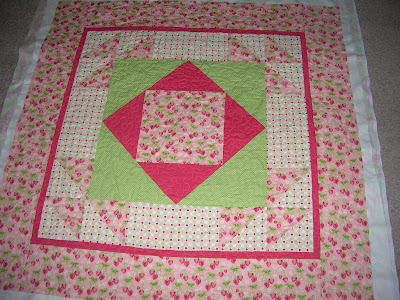 This quilt is a baby sized, about 45" square, and was really easy to quilt. Below is another close up of some stitches. They are not perfect, but I think they're cute, and it only cost me a grand total of 6$ to quilt it (one spool of thread and some sharp new sewing machine needles). I got it done in about 2 hours. I worked on it little by little throughout the day. I like to quilt on my kitchen counter because it's nice and high and has plenty of space (it also forces me to clean it off and put everything away, which isn't nessesarly a bad thing). Here it is, all finished. I still need to trim it and put the binding on it and then get it to the store by shop hop next week. I can't tell you enough that all you need is practice. My first quilts looked nothing like this, but I knew it could be done, so I kept at it. 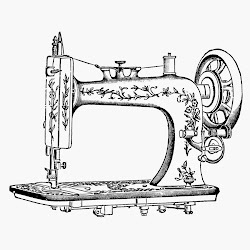 It takes a little while to get a good rhythm and to get to know your machine. Be careful when you stop to reposition, so that your needle doesn't move, it will be hard to get it back in the same spot as before. It's a little difficult to get over seams, but adjusting the pressure on your pressure foot can help (I usually set it to the lowest [lightest pressure] setting). Use your muscles to move your quilt around smoothly. I check the back of my quilt often to make sure my tension is still good and I am not getting my fabric puckered. Walk away if you get frustrated. And remember, there was a good reason seam rippers were invented. I have a love/hate relationship with mine. Hope this helps and inspires you! There are other tutorials on the web on how to do this, but this is what works best for me. Leave me a comment if you have any questions. My first blog, my first post!